Chapters Twelve and Thirteen bring us an evening with Durdles and a meeting with Rosa Bud. What is it that Jasper does in Durdles’ company? By his own admission, he says, “making a moonlight expedition with Durdles among the tombs, vaults, towers, and ruins” of the Cathedral grounds. Later that night, Durdles and Jasper are off on their jaunt. Durdles warns Jasper about the quick-lime. “Quick enough to eat your bones.” Jasper brings along a bottle of spirits, of which Durdles is more than happy to partake. The stonemason becomes quite drowsy and falls asleep for some time before finally being awakened by Jasper. In that time what was Jasper up to? 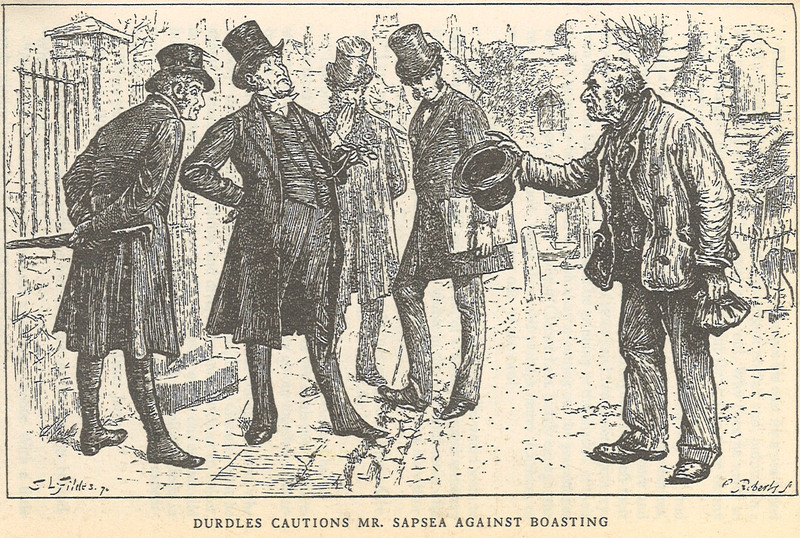 The narrative ends the chapter–and the third installment–by even calling the evening walk an “unaccountable expedition.” However, some of Jasper’s movements may have been witnessed by young Deputy. Jasper accosts the boy violently, but Durdles calms him down. It may not just be her fellow classmates at the Nuns’ House saying goodbye. 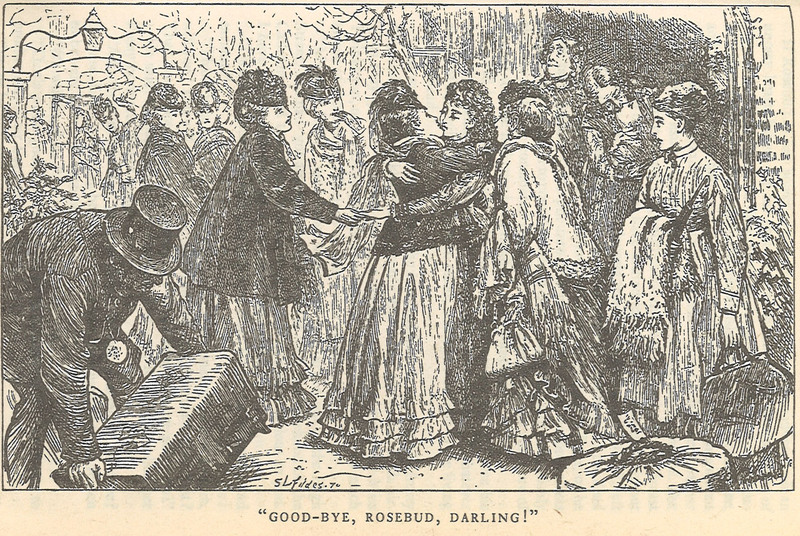 Installment Four, appearing in June 1870, returns to Miss Twinkleton’s where the Christmas recess is beginning. The young ladies of the Nuns’ House will be going home for a time. As for Rosa Bud, “So many times had [she] seen such dispersals, and so very little did she know of any other Home.” This time, however, she will not be alone as her newest friend Helena Landless will also be in residence. In fact, Jasper–having followed them at a distance–sees them exchange an affection. Rosa and Drood notice him and realize they’ve been followed, but it is Rosa who knows more and, turning to Drood, says, “Don’t you understand?” This as the chapter ends. Just how important shall this ring be? Why is Jasper so keen on haunting the Cathedral crypts? Has a kiss sealed someone’s fate? Stop by next week for the all important Chapter Fourteen.